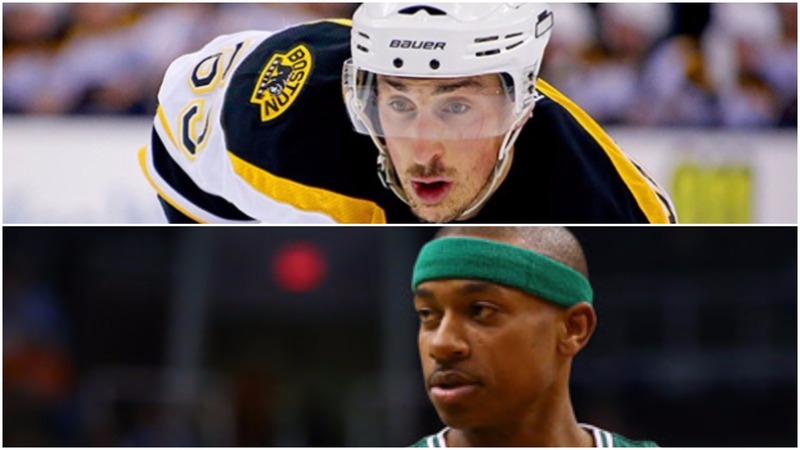 It’s the height of hockey and basketball season in Boston as the Bruins and Celtics are both trying to finish the year strong and put themselves in a position to succeed in the playoffs. Both teams have almost identical records and standings in their respective conferences. The C’s sit at 43-31, good for fifth in the East. The B’s are seventh in the East at 40-29-8. The most surprising similarity between the two teams that play their home games at TD Garden is that the best player on both squads is only 5’9″. Isaiah Thomas, coming off his first career All-Star appearance, is currently 12th in the NBA in scoring (22.3 ppg) and 13th in assists (6.3 apg). Brad Marchand, who Barack Obama once referred to as the “Little Ball of Hate”, is sixth in the NHL with 35 goals. In the last few days, both of these little guys have provided us with highlight plays that remind us why they’re so special. Unfortunately, both of these plays were the lone highlights of a couple crucial losses for our beloved teams. The Clippers ended the Celtics’ four-game winning streak with a 114-90 blowout at the Staples Center. With eight games remaining in the regular season, the C’s are tied with the Hornets for the fifth seed. However, they’re only a game and a half out of third. With Jae Crowder getting set to return, they are fully capable of reclaiming home court advantage in the first round of the playoffs. They take on the Trail Blazers in Portland on Thursday before heading to Oracle Arena on Friday for a matchup with one of the greatest teams of all-time. The Bruins’ struggles continue, as Marchy’s impressive goal against New Jersey was the only time Boston was able to squeeze one past Keith Kincaid, who finished the game with a career-high 39 saves. The B’s lost 2-1 and have now dropped six of their last seven to fall to seventh in the East and third in the Atlantic with only five games left until the postseason. They’ll face off against the Blues in St. Louis on Friday night.